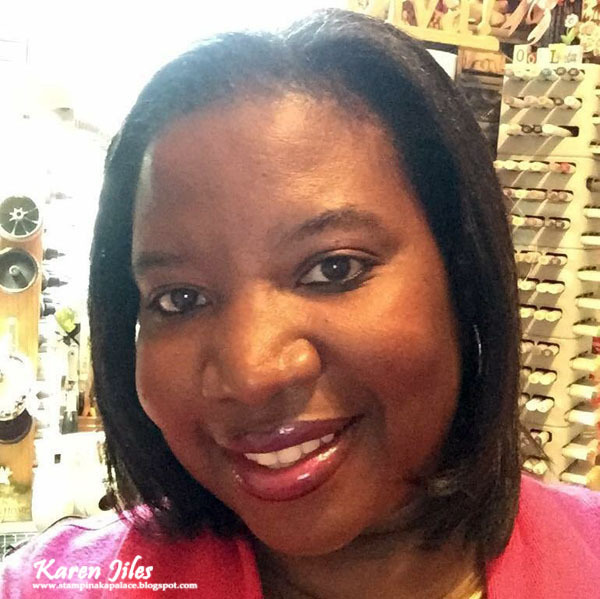 It’s Karen, sharing this Mixed Media Wonderful Friend Card that I created with the Bella Rose and Honeycomb Embossing Folders, and the Cut N Boss machine. I shared the fun use of the Bella Rose embossing folder with inks on an album cover in a previous post. Today, I’m using some more painted Bella Roses on a card with some mixed media elements. If you missed the tutorial on how I painted the embossed Bella Roses, please check out the tutorial, here. I coordinated this card with some crinkled ribbon, embossed script, embossing powder and gesso. 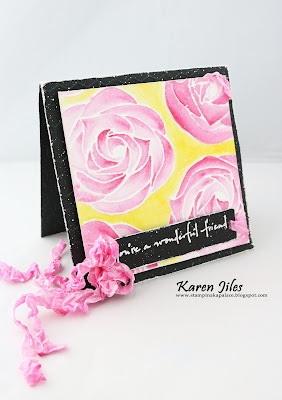 The Mixed Media Wonderful Friend Card measures 5 ½ x 5 ½. I absolutely love the distressed look of the card. Take a peek at my tutorial below. Step 1: Place 8 ½ x 11 sheet of watercolor paper into the “Bella Rose” embossing folder. Close the folder and insert into Cut N Boss by Craftwell. Remove the embossed watercolor paper from the Cut N Boss and the embossing folder. Step 2: Using an Aqua Painter, paint the embossed roses with choice of colors and trim down to layering card size. Step 3: Emboss sentiment onto black cardstock. Unevenly emboss the edges to give the sentiment a distressed looked. Secure sentiment to card embossed layer with ribbon. Step 4: Using the Honeycomb embossing folder and Cut N Boss by Craftwell, emboss a 5 ½ x 11 piece of black cardstock. Step 5: Fold the black cardstock in ½ and emboss the edges. Layer card pieces together with adhesive. Add bow and ribbon. Step 6: Using a paintbrush, tap gesso over card and highlight ribbon with gesso. Let dry and continue embellishing as desired. Thanks so much for stopping by today. I hope that this Mixed Media Wonderful Friend Card has inspired you to paint your embossed roses and incorporate them into your projects.